Step 1: I like to pre-bake my chicken breasts and I tend to do it the same way for most of my recipes. Sprinkle with Pampered Chef Southwest Seasoning and Garlic salt in bottom of baker. Step 4: After taking the chicken out of baker, add a layer of Doritos to the bottom. Step 5: Chop Chicken breasts up and place a layer of chicken on top of Doritos. Step 8: Bake in over on 375 – 400 for 15 -20 minutes or until heated through and cheese is melted. 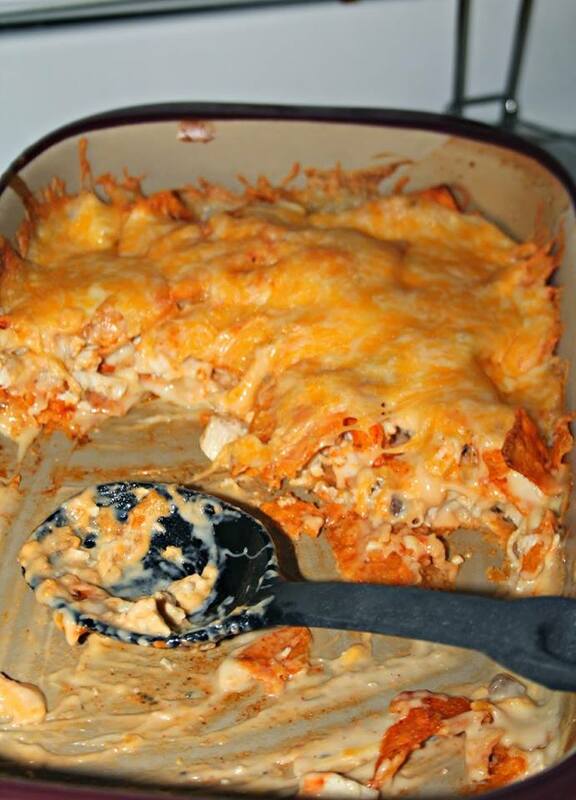 And then serve this yummy (but certainly not low-fat or ‘healthy) casserole to all the Dorito lovers in your life and I promise that it will be gone in a few minutes…mine always is!